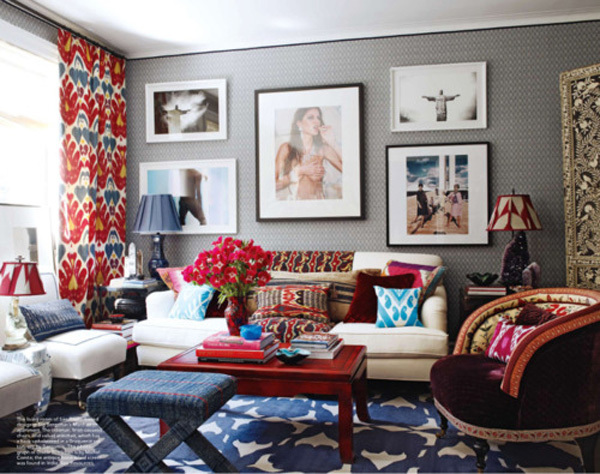 Ikat pattern is an interesting and colorful print that can add an exotic touch to your home decor. Ikat is a weaving method that uses threads that were dyed before weaving selectively by dipping them into the dye. Ikat is an Indonesian word that means thread or knot. However, the weaving method is common for many cultures due to its long history. Each culture has its own ethnic patterns and ornaments that are used in ikat but the woven ikat fabric itself has symbolized the wealth and power. Today one can find a great variety of ikat decorations on the market. From wall coverings to pillowcases ikat pattern issued to enhance and liven up the interior design as well as add some ethnic vibe to it. 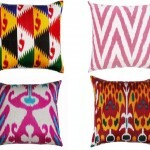 Beside traditional ikat patterns and color schemes pertinent to certain cultures where this weaving method bloomed modern designers have reinvented some ikat patterns by designing them in various unconventional hues and shades. 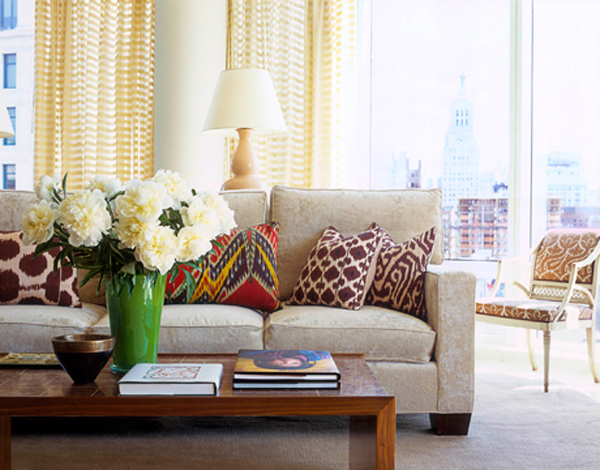 Working with ikat pattern in interior design is the same as working with other prints. Choose the matching colors and shades and throw in solids and other prints in or let ikat pattern stand on its own against neutral background. 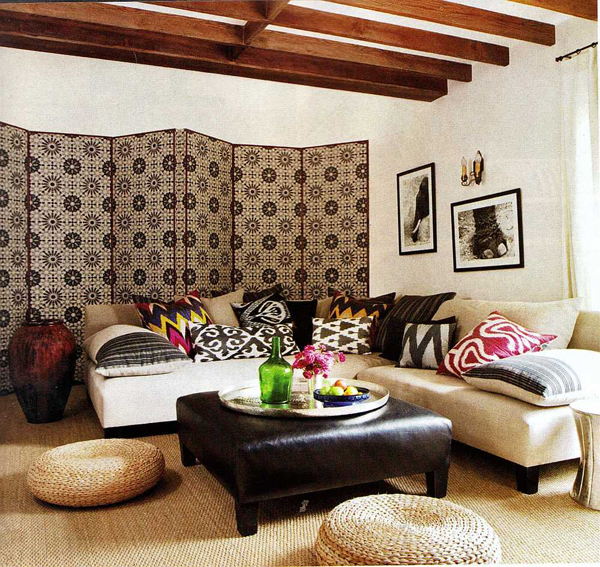 Ikat fabrics can be used in uphostery, curtains, rugs and coverlets. You can also add just a bit of it through throw pillows. 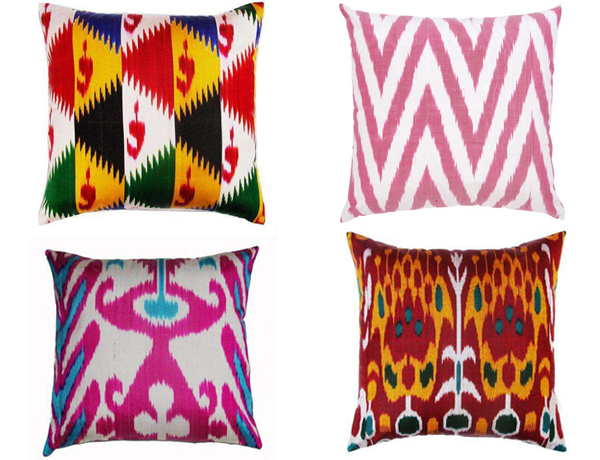 Ikat can be very colorful but there are also softer shades used in modern ikat fabrics. From light sand brown to light silver blue you can experiment with ikat pattern even without making your interior design too bright. Choose from variety of ikat patterns available from florals to abstract engaging two or more hues. 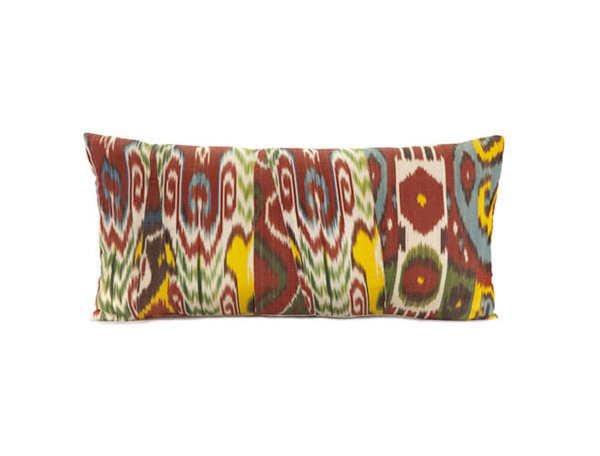 Experiment, mix and match with ikat adding an exotic touch to your interior design. hi, i am looking for the any addt’l info you may have on the bedroom featured above (https://www.interiorholic.com/photos/exotic-ikat-print-in-interior-design-4.jpg). 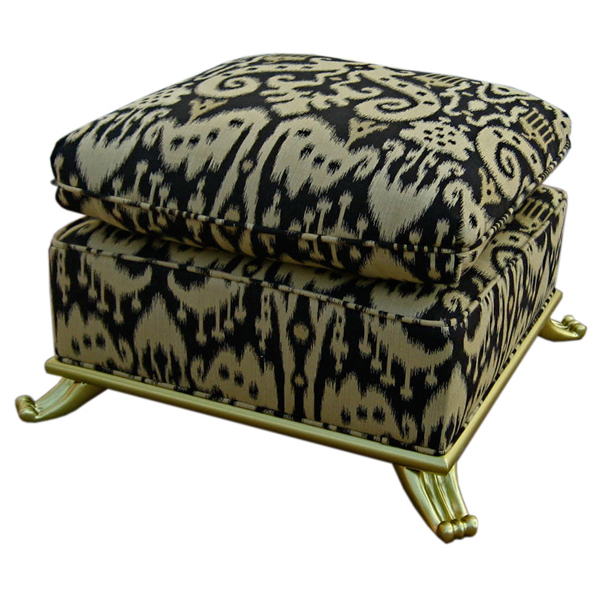 Specifically looking for fabric name or mfg name of the suzani fabric used on the ottoman. looks similar to the high-end Donghia Suzani print in Pink Passion, but i’m looking for similar less expensive options! Hello, Sandra, thanks for stopping by, yes I think that IS Donghia Suzani’s Pink Passion. While I’m not sure where to find less expensive fabrics similar to Donghia http://www.uzbek-craft.com might have some interesting options, as well as etsy.com, online boutique has some ikat fabrics at reasonable prices. Hello, where is the quilt cover from at the top of the page? Hey, Chloe, thank you for writing us. 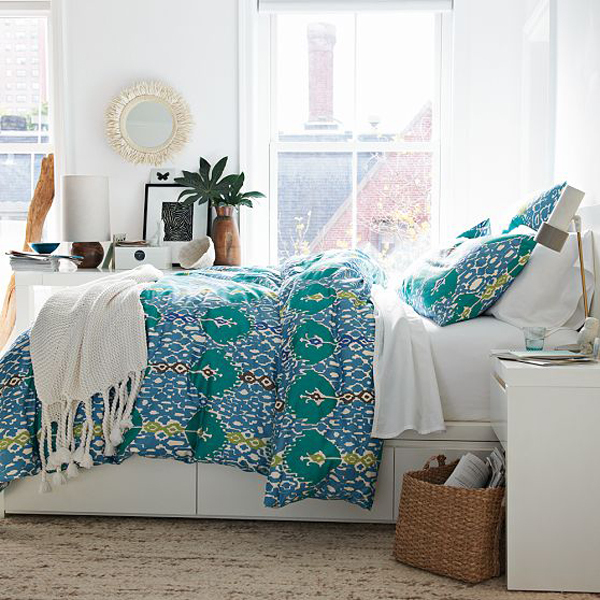 I’m afraid this Island Blue Ikat Duvet from WestElmdotcom is no longer available.